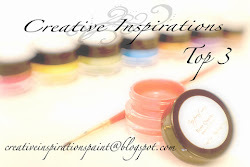 Welcome to our blog hop where we are all showcasing projects that make us try something new! If you have come from teachdanz.blogspot.com then you are at the right place, if not head over to Crafting Misfit's site to start from the beginning. She also has some blog candy there so make sure to visit! You can also link up your own project there to show off your own new skill. It is a trifold card. The square on the front is attached only to the left side of the trifold and you pull it open there. It was a gift for a baby shower and was a big hit. So, the slide has twine folded under. It then wraps around the back of the printed paper. The printed paper is attached with foam dots to the lilac square. (The lilac square is glued to the left side of the trifold). Here you can see the basic shape of the card. I don't usually use my cricut for the inside of the card, but I loved this sentiment for the baby shower as my kids and I had chosen the gift together. So, that's my little project. Nothing to jaw-dropping, but for me it was an accomplishment. I just got my gypsy in the mail today so I'll be off playing with that all evening to come up with even better ideas! Thanks for joining us on our blog hop! Now you are off to see Sue-Ann's project! Then had back to see Rebecca at http://craftingmisfit.blogspot.com to share your project! Very cute card Love the paper. Great job! Pleasure to be a part of this hop with you! Love the idea of the card, I've yet to make anything other then the basic and after seeing yours I need to try! Thanks for the inspiration to try something new! I'm a new follower! Very cute card! Love the sentiment!! I'm following now! Very cute card. Glad you are part of the hop. I'm a new follwer. Your card turned out so pretty. I love that little bird on the front the way you did it. I think it is so cute! I'm loving the concept of this hop! I hope you have fun playing with your new tool, or should I say toy because it is really to much fun to be a tool! It does take a little to get used to, but honestly, that HELP button is the best! What a great project.........You did beautiful on it. Great card, love the fold! Great card! Love the paper and sentiment. This is a great project. I have been cricutiting for 2 yrs. Please come by my blog and let me know if you want any of my files. I would be happy to share.